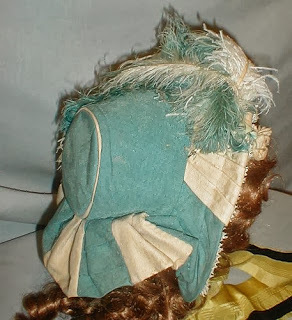 A beautiful 1860’s baby blue and white cotton spoon bonnet that has all its original trimmings. The family name of Richards is hand printed on a tag inside the bonnet. 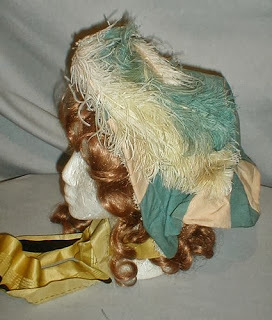 The bonnet is trimmed with white and baby blue ostrich feather. 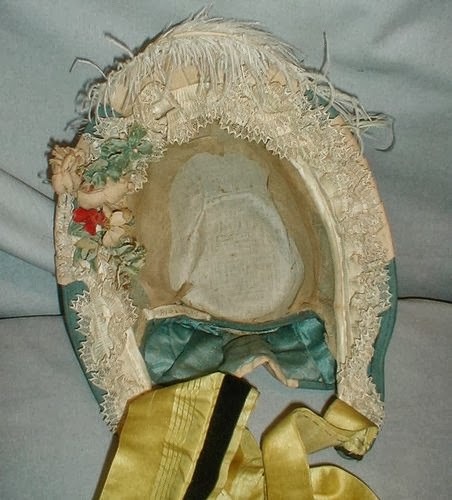 The inside brim is trimmed with floral sprays and white lace. 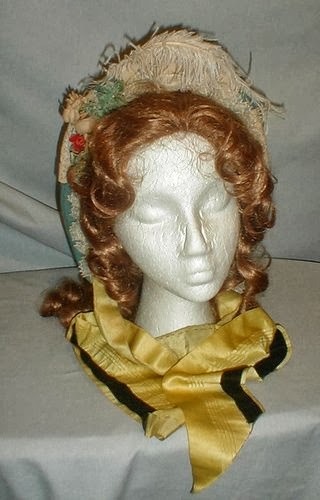 The bonnet has yellow silk ribbon ties that have a band of black velvet that is hand stitched to the silk. 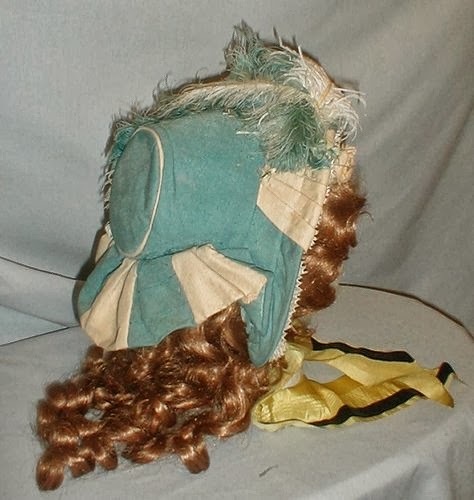 The bonnet has a four inch back curtain. 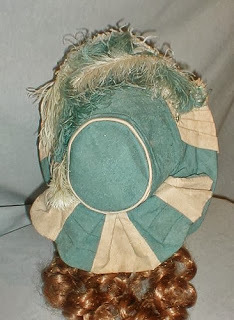 The inside is lined with buckram. 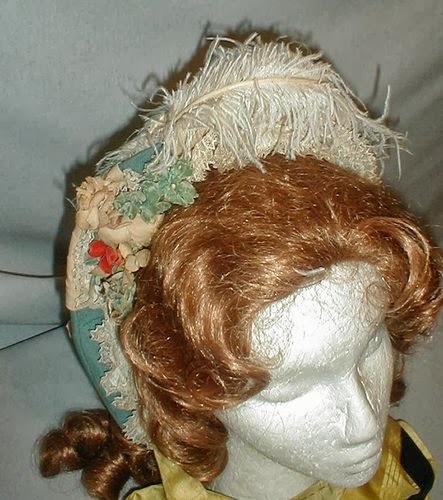 The bonnet is in excellent vintage condition. There is some very minor light soiling. A true millinery master piece. This is just too cute! 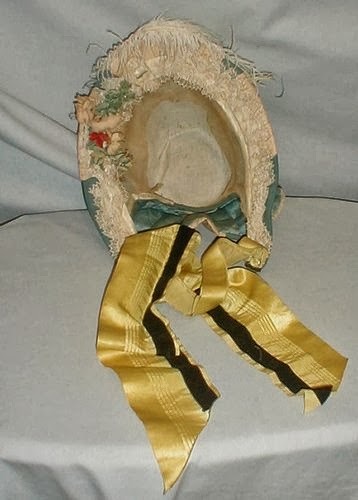 I love the details of it - the blue and white bonnet with the cute lil bunch of flowers in the front and the yellow ribbon.